Turn of the century home (corner of King Street at Prideaux Street). 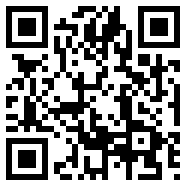 Downtown Location! Steps to Shaw Festival Theatres, shopping, dining, golfing, and Lake Ontario. Historic/Heritage Details: The corner of King Street and Prideaux Street has always been important location in Niagara-on-the-Lake. Prior to 1812, this was location of Newark jail house. The land registry shows entries from 1817 when this parcel of land was considered crown land and was bought and sold a few times as "the lot" until 1831 when John Graham purchased the land and built a tavern here called the John Graham Tavern and a period after it was named Black Swan Inn. John Graham lost the property sometime before 1845 for taxes unpaid. From 1845 to 1893, the activities of this parcel of land and building are not clear, but there are rumors that it was also a bakery at sometime before 1890. In 1893 the land registry again documents the land as being sold by the town for unpaid taxes to Fanny Rowley. Fanny Rowley then sold the property to Emma Brown (a spinster) in 1906. Emma Brown past away in 1913 and left the estate to her brother Albert Brown from Texas; the record read he was unmarried. During our renovation over the years, we came across a marking on the staircase wall that was dated 1911 by the plasterers, this was during Emma Browns ownership. Emma Brown also owned other parcels of land as there are records showing Miss Brown selling off other parcels of land near the corner of King Street and Prideaux Street in 1907. In 1916, James Rigg, the town medical examiner, purchased the property from Albert Brown. James Rigg increased the size of this building by adding an office for his practice and a large master bedroom suite above the office on the Prideaux Street side of the building. James Rigg's son Dr. Bruce Rigg took over the property in 1942 and ran his medical practice here until 1965. There are many town folks who still remember going to see Dr. Bruce Rigg at the corner of King Street and Prideaux Street. Town registry records show that the corner of King Street and Prideaux Street is a prime location in Niagara-on-the-Lake and its past owners prided themselves on this location. 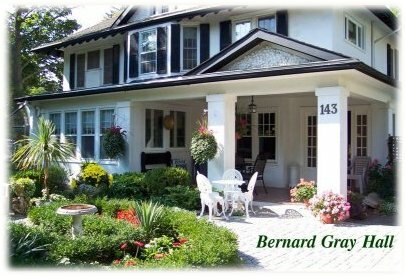 Since 1988, at the corner of King Street and Prideaux Street , we are hosting a successful 3 bedroom Bed and Breakfast named Bernard Gray Hall Bed and Breakfast. Please come and join us and the history at the corner of King Street and Prideaux Street. and vacations around the world.